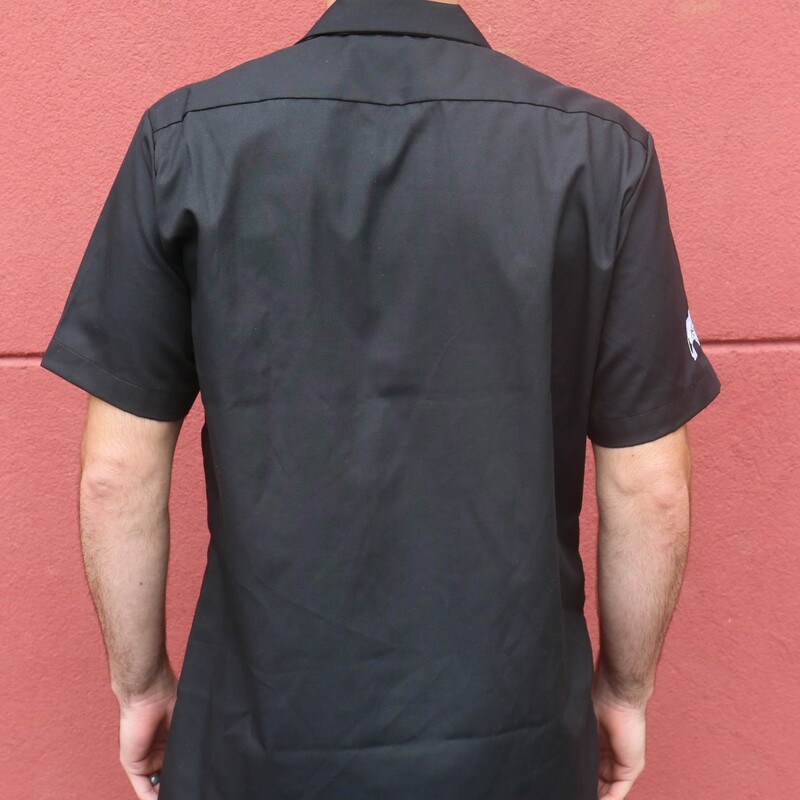 Dickie's short sleeve work shirt in black. 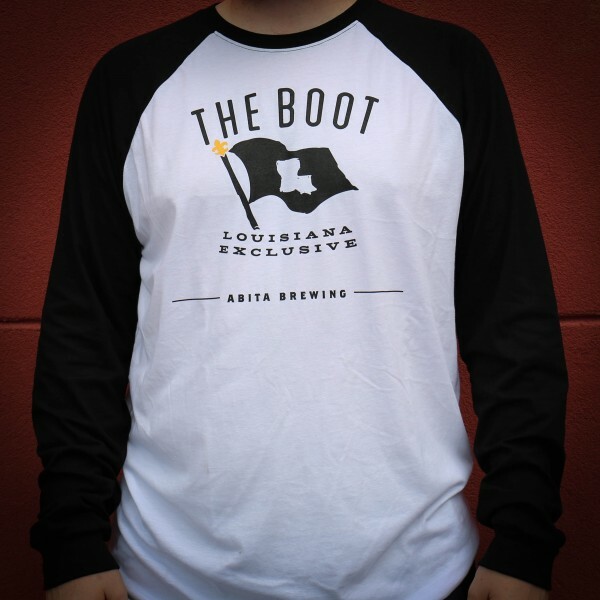 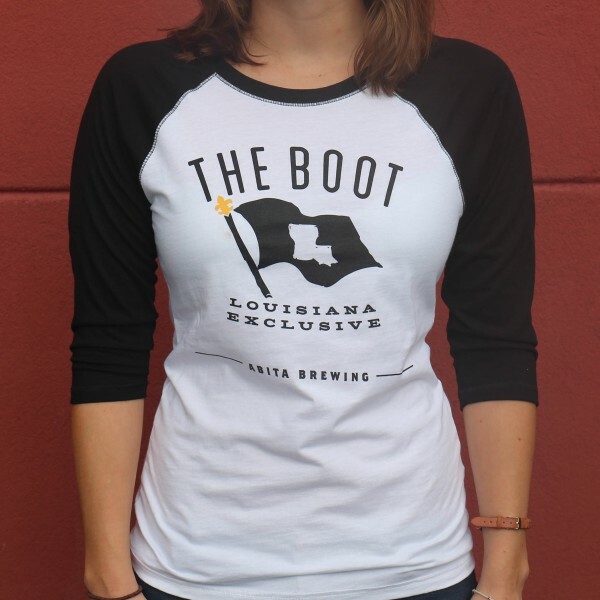 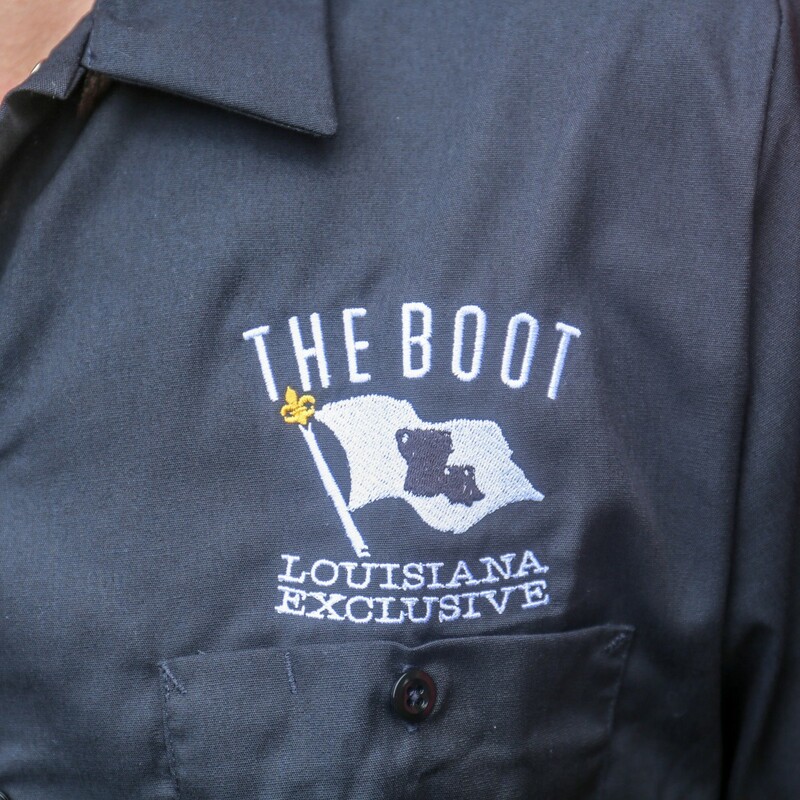 Featuring the embroidered Boot logo above the left front pocket ans embroidered Abita logo on the right sleeve. 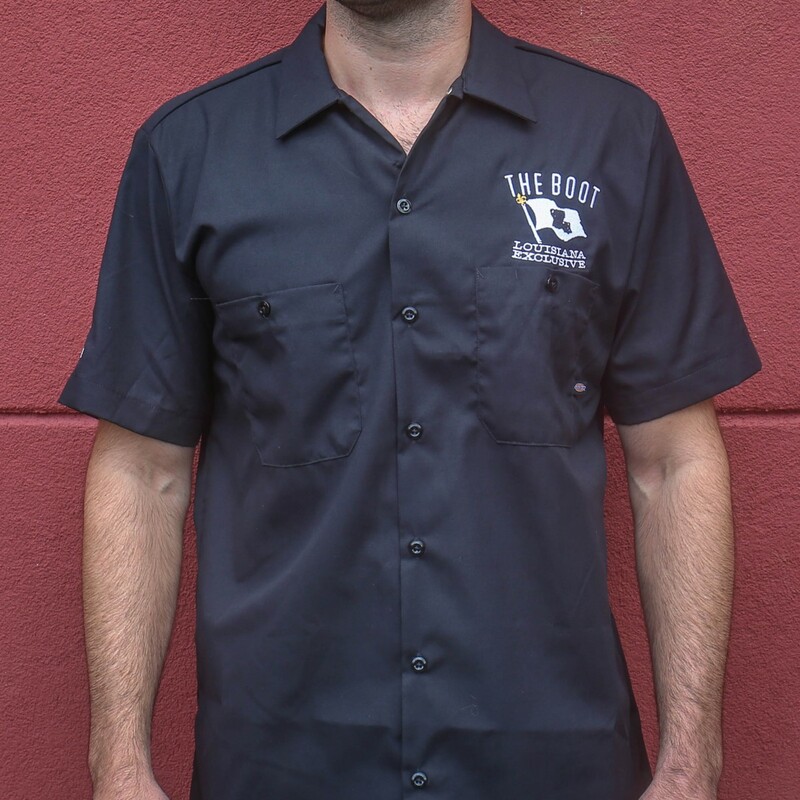 4.5oz Twill, 65% Polyester, 35% Cottom with Touchtex. 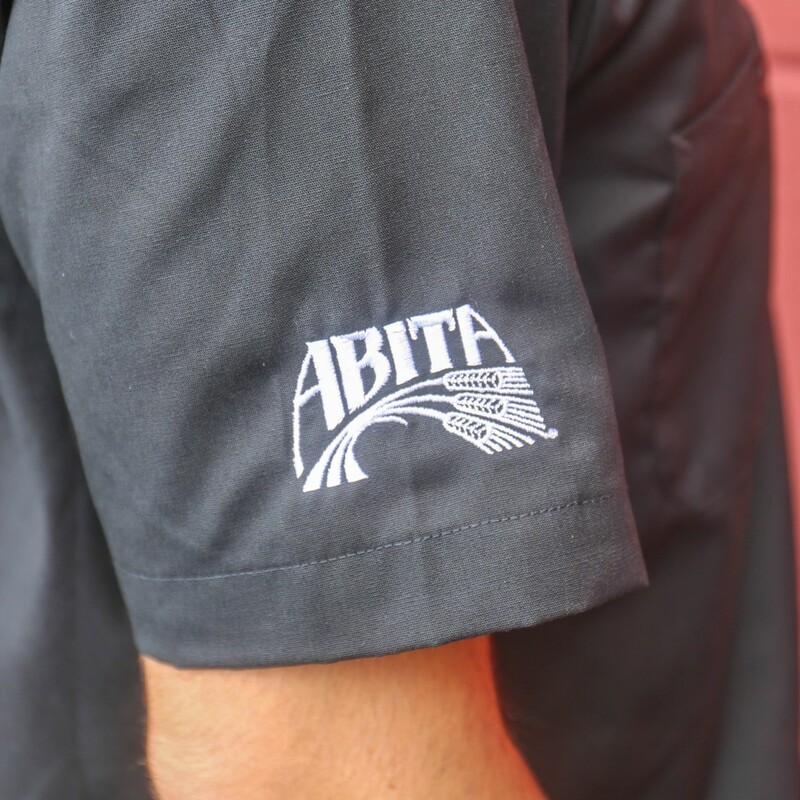 Soil release; moisture wicking material. 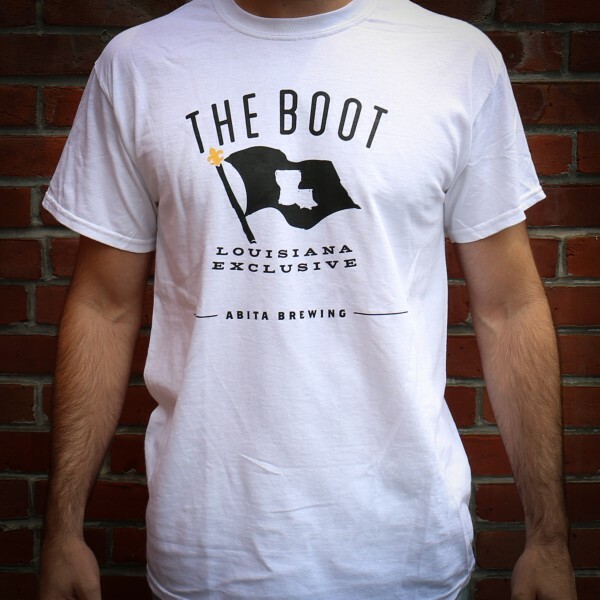 Note to Distributors: The Boot is a Louisiana Exclusive brand.